GTA V Re-released For PS4 And Xbox One – Is It Worth It? The fifth installment of Rockstar’s hugely successful series Grand Theft Auto was released back in 2013 and went on to sell more than 30 million copies. 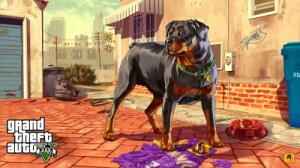 Now that the next generation of consoles have arrived, Rockstar have decided on giving Los Santos a Hollywood makeover. A teaser trailer showcased the new improved graphics overhaul and the introduction of a first person perspective. So what else is new and is it really worth buying again? Newer consoles mean better graphics, and in turn Rockstar have cranked up the quality. Larger textures and crisper visuals mean further draw distances and busier traffic in the city. As if being chased by cops through downtown wasn’t difficult enough, now you have more cars to avoid. More importantly, the jump in visuals doesn’t have a negative impact on the performance, with Rockstar claiming the game still flies well at 30fps. The newly introduced first person perspective is a move away from the classic third person employed since GTA III launched on the PS2 back in 2001. Before then, a top down view was the way to wreak havoc and destruction since it controversially burst on the scene in 1997. Aside from the visual aspects, the game promises all the previous free downloadable content available for the new consoles, including extra vehicles and weapons. Rockstar have announced its plans for more downloadable content in the near future as well as more than 100 new tracks for the radio stations in-game. For those who bought the game previously, Rockstar hope to entice them back in with the ability to import saved games over, as well as access to exclusive bonus content, including extra missions. So if you’re wondering if you should fork out again for another copy of GTA V for the PS4 or Xbox One, the answer is yes. The sheer size and scale of the game is worth playing again even on the old consoles. As for this new, refined and improved version, along with all the extra content, it plays more as a new game rather than a lazy port. Those who are anxious for an updated PC version, Rockstar have slated a January 2015 release.